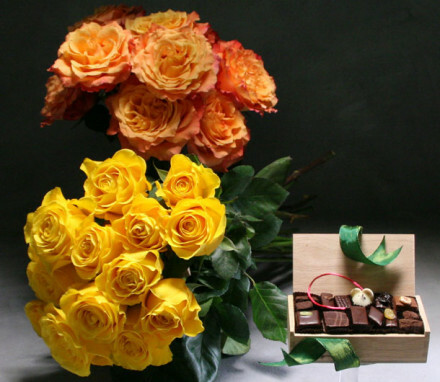 Make Mom happy with a beautiful gift delivered anywhere across the country. 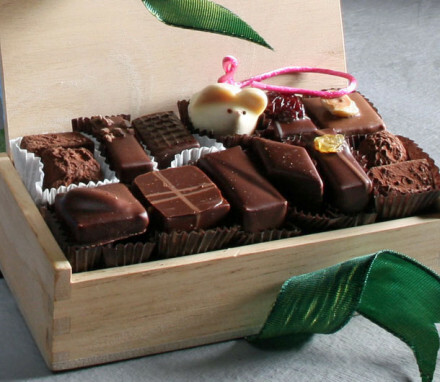 Send roses, fruit, chocolates, cookies, . . . 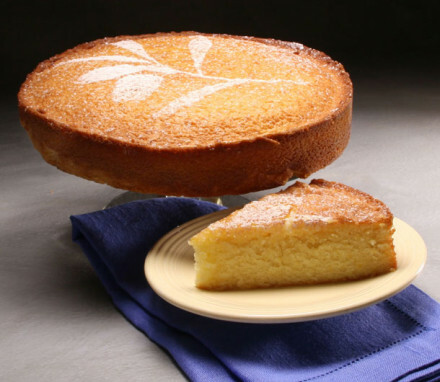 Mother's Day is on Sunday, May 12th. Your Mom deserves only the very best! 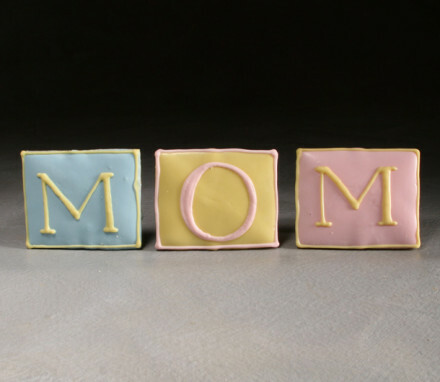 So why would you scrimp on your Mother's Day gift? 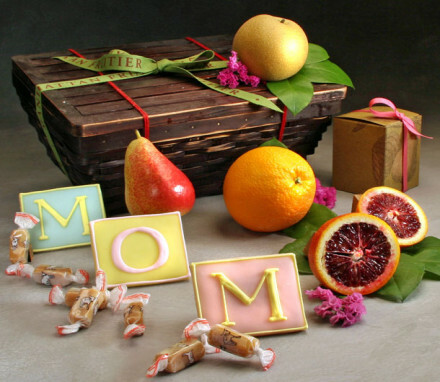 Make this holiday one for her to remember with a unique Mother's Day gift basket from Manhattan Fruitier. Our Mother's Day gift basket collection features just what Mom's love: deep pink showy roses (called Pink Floyd), hand-iced cookies and petit fours in pretty pastel colors from Duane Park Patisserie, rich chocolates by master chocolatiers, fresh seasonal fruit, and this year, we can also offer a refreshing rose wine! If Mom prefers a more savory treat, we also offer the perfect Sunday brunch in a basket. 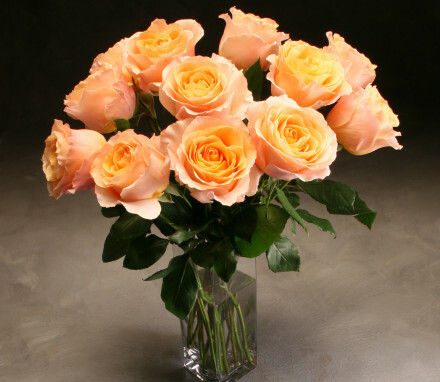 Why not add roses and a sparkling wine to make your Mother's Day gift extra special? 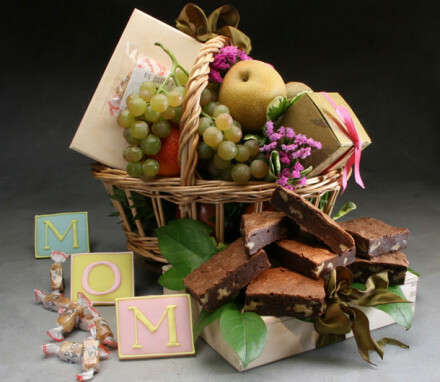 All of our Mother's Day gift baskets are the very finest examples of what a gift basket can be. We use only the highest quality products from artisanal makers who care and we showcase them in the most elegant and environmentally friendly packaging you can find. 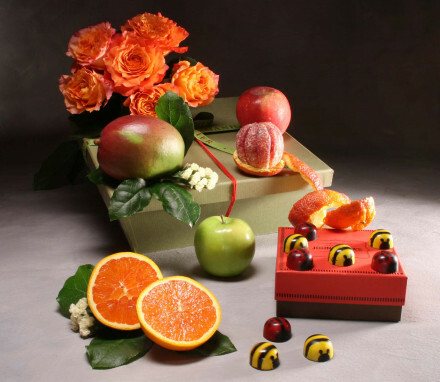 But perhaps most importantly, we bring our attention to the tiny details (such as accenting with fresh lemon leaves and flowers) that make our Mother's Day gift baskets truly unique among gift basket companies.Your Mom will notice the difference. So if you are wondering what to get your Mom for Mother's Day this year, look no further! 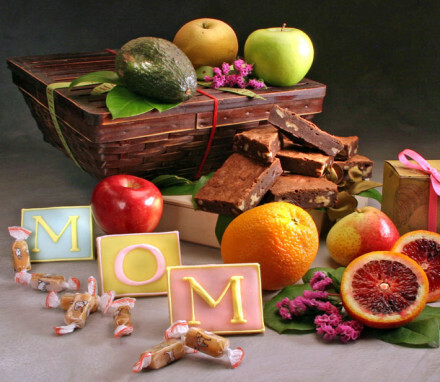 With our variety, quality, expertise and orientation to detail, any Mother's Day gift basket you choose from our selection will be sure to surprise and please her. And while you are thinking about gift ideas for Mom, what about all the other amazing women in your life? There's grandma and aunties, sisters and wives --- so many women deserving of your gratitude. All of our Mother's Day gift baskets are designed with women in mind and will make unique Mother's Day gift ideas for anyone you want to recognize on this special holiday. And if you have a new Mom (or an about-to-be new Mom) you are shopping for, we have created a line of Mother's Day gift baskets specifically for them. Our "Mother Nature" gifts are premised on the very particular nutritional needs of pregnant and lactating women.Include a dozen of our prized pink roses and/or a baby toy, blanket and booties and you will have a unique Mother's Day gift for new Moms and Moms-to-be! 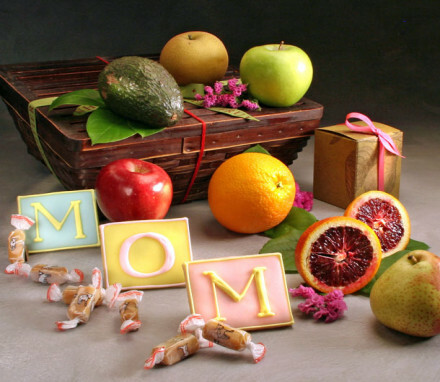 Remember, when it comes to your Mom, you only want to give her the very best. Don't disappoint her. 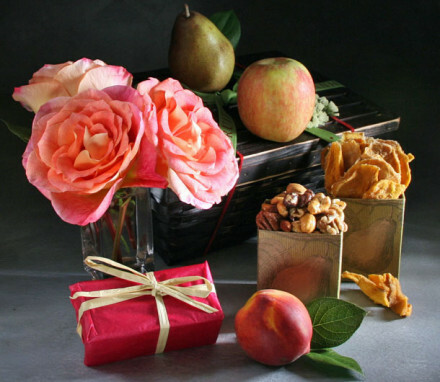 Show your appreciation with one of our Mother's Day gift baskets and make her feel indulged. She deserves it.